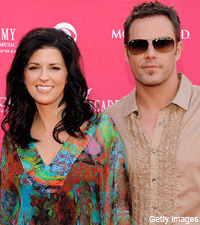 Little Big Town's Karen Fairchild and Jimi Westbrook shared the news that they are expecting their first child. "Yep, it's true...excited to finally tell the news...Jimi and I are having a little one." Fairchild shared via Twitter yesterday during rehearsals for the All For The Hall event in Nashville. Congratulations to Karen and Jimi! What would your advice be for these first-time parents? E-mail me at thefrontporch@countrystandardtime.com.